This is the very popular 2.4GHz XBee XBP24-AWI-001 module from Digi (formally Maxstream). The Pro series have the same pinout and command set of the basic series with an increase output power of 60mW! These modules take the 802.15.4 stack (the basis for Zigbee) and wrap it into a simple to use serial command set. These modules allow a very reliable and simple communication between microcontrollers, computers, systems, really anything with a serial port! Point to point and multi-point networks are supported. 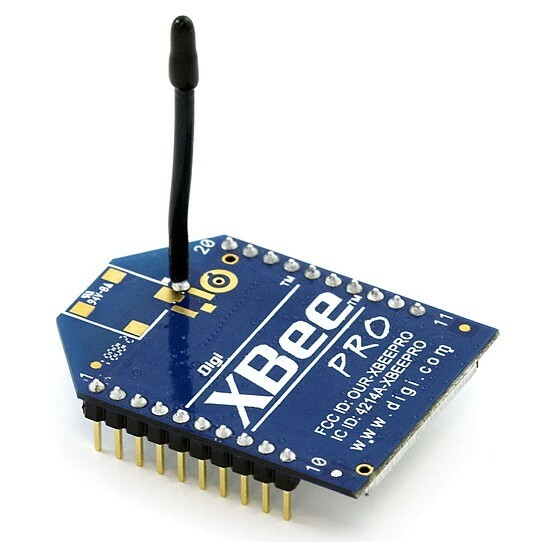 Get XBee Pro 60mW Wire Antenna (SKU:TEL0004) from DFRobot Store or DFRobot Distributor.